My kitchen sink is by far the hardest working “thing” (anyone have a better word?) in our home. Well, except for our air conditioning system, #Floridian. Our sink is the dumping ground for plates, pots and pans, silverware, the coffee pot, leftover scraps on plates and pans, and so much more. Our sink is one happening spot. Last summer, we remodeled our entire kitchen. Before we even started designing the kitchen and thinking about cabinets and appliances, my focus was on the sink. 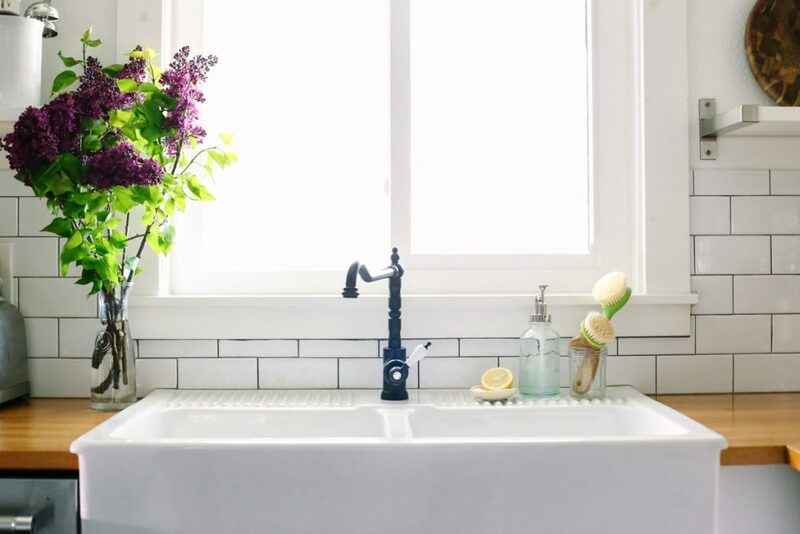 I’ve spent way too much time on Pinterest over the last couple of years dreaming about the loveliness of a farm-style, apron sink. Before the walls even came down, we went to IKEA and purchased the farm sink of my dreams, which turned out to be very affordable. With our kitchen remodel complete, and my dream sink now installed, caring for our sink has been a major priority. 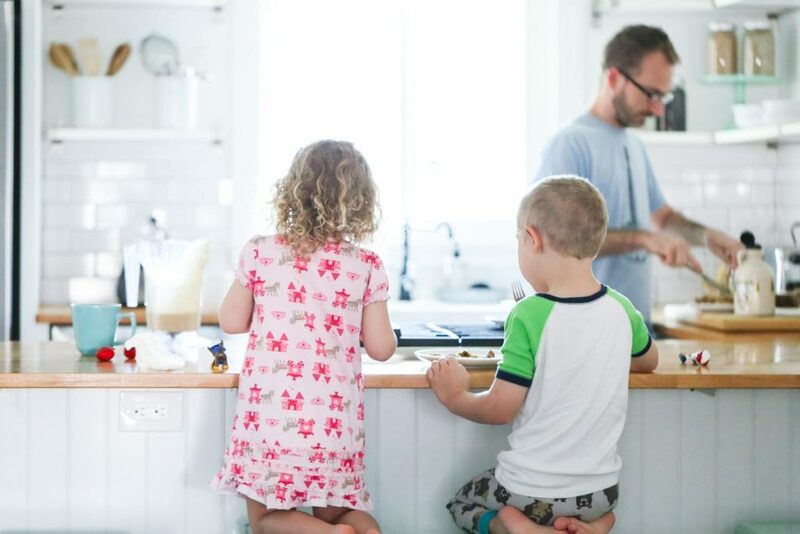 Since our kitchen sink is the hangout spot for our dirty dishes, it’s easy for our sink to quickly transform from clean to dirty and greasy. I love knowing that I have four different natural, homemade recipe options to help keep our sink clean and sparkly. Think of these four natural recipes like the cleaning section of the grocery store: there are multiple options to get the job done. Before I share each recipe, it’s important to note that these recipes may be used to clean any sink in a home, not just the kitchen sink. If your sinks are delicate, like a marble sink, I recommend asking a specialist about specific care instructions. Hold on, let’s talk about cleaning for just a sec. 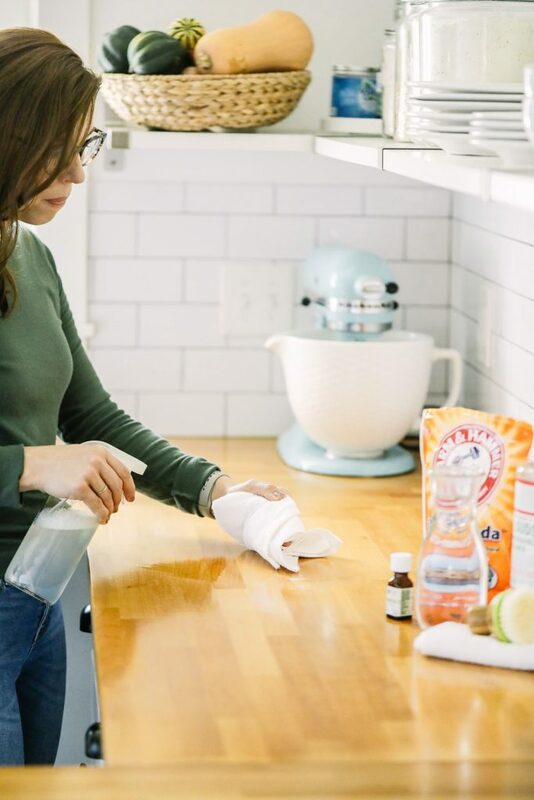 What if I told you it’s possible to clean your entire home with just a few simple, natural ingredients? Yep, no more expensive or toxic cleaning products. 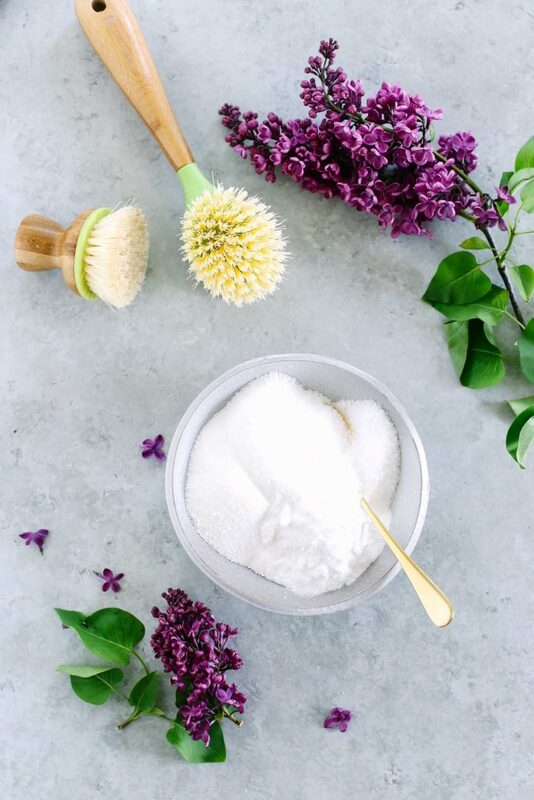 This powder is a combination of baking soda, borax, coarse salt, and a few drops of essential oil. 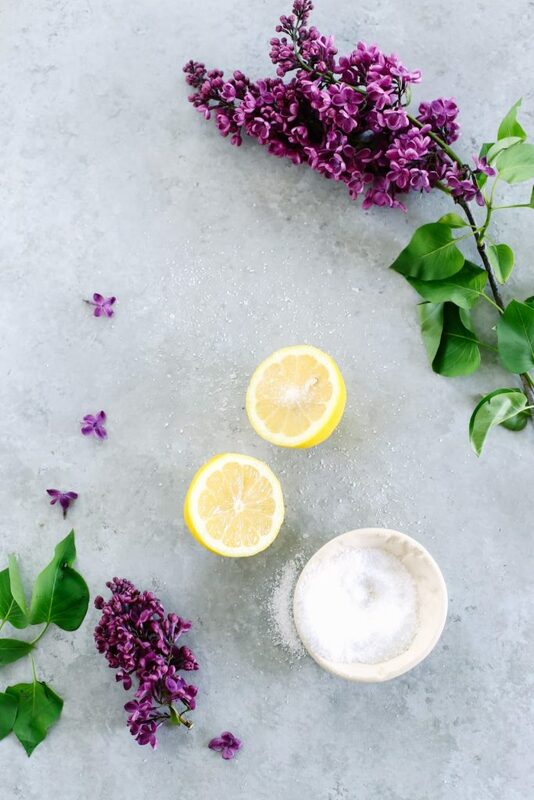 The simple ingredients create a powerful powder that I sprinkle in our sinks when they need a deep cleaning. After sprinkling the powder in the sink, I let it rest for at least five minutes, and then use a scrub brush to scrub away the dirt. Finally, I rinse the sink with warm water. This is my go-to powder when my kitchen sink needs a deep cleaning (during my bi-monthly cleaning), and the cleaner I use in our bathroom sinks (another bi-monthly cleaning task). I also use this powder to clean our toilets. Since this powder has a very long shelf-life, a mason jar of Sink Scouring Powder is always ready to go in my cleaning caddy. 1 lid with holes, such as: a mason jar drink top, or a Parmesan cheese topper. Only use this lid when the powder is needed. The top used to store the powder shouldn’t expose the powder to the air. Find the full recipe instructions, here. This scrub lives up to its simple name since it’s made with only two kitchen ingredients: a lemon and coarse salt. That’s it! I use this scrub when I need to quickly clean our kitchen sink, but don’t want to get out an actual cleaning product. We always have lemons in our kitchen, so I cut one in half, sprinkle salt over the lemon flesh, and then scrub our sink with the lemon and salt (gently squeezing the lemon as I scrub). I apply more salt to the lemon as needed. The lemon and salt combo loosens dirt and grease, and eliminates odors. If you have my book, DIY Natural Cleaning Challenge, you’ll find this recipe on page 94. My mom’s favorite cleaner, when I was a child, was Soft Scrub. She used Soft Scrub to clean everything from the bathroom tiles and tub to her kitchen sink. This scrub cleaner is my homemade alternative for Soft Scrub. I personally don’t use this scrub very often for cleaning our sinks, because my sinks don’t get dirty enough to need this powerful cleaner. If you need something with not only cleaning power but also whitening power, this is your cleaner! This scrub is also a great product to use in a dirty bathtub or shower. Finally, if my sinks just need a quick wipe down, with more than just water and a dish towel, I’ll reach for a bottle of all-purpose spray. 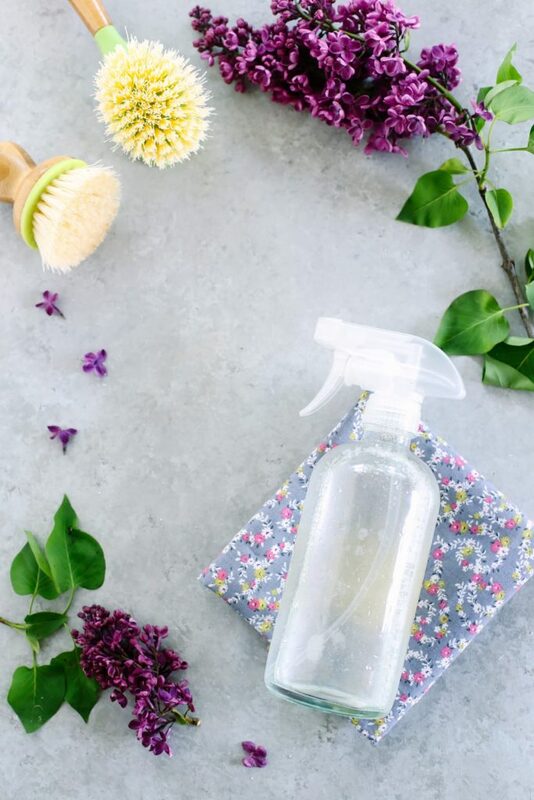 There are two options when it comes to making an all-purpose spray: vinegar or castile soap. The spray I reach for and use depends on what’s currently sitting in my cleaning caddy (a water-based cleaner has a short shelf-life). Both are incredibly effective at quickly cleaning a sink. 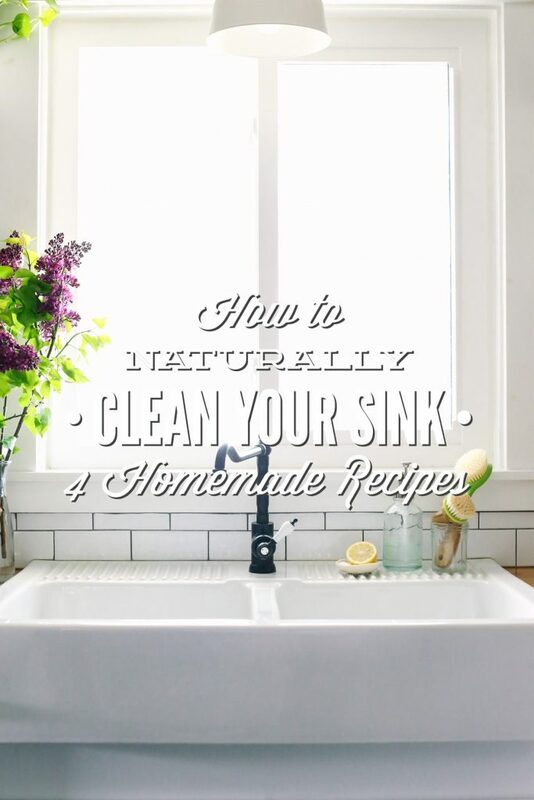 Do you have a favorite natural method/recipe for cleaning your sinks? can you please tell me where you got your little round brush from? Hey Mihela, I purchased it from Amazon: http://amzn.to/29VaFZm. Borax is actually toxic. I wouldn’t have it in my house. Do your research please. Here in the EU anything with borax has to come with a warning. Hey Rachel, Borax is a heated topic, but I’m completely comfortable using it, when needed, in my home. 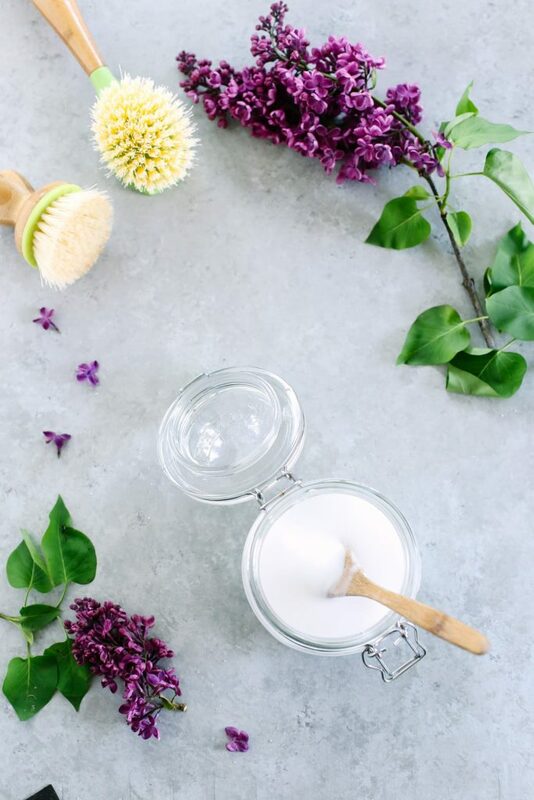 Here’s more information that sums up why I believe this: https://wellnessmama.com/26407/borax-safe/. If you don’t want to use borax, you certainly don’t have to :). That scrub cleaner is great! So easy to make. I did not have any Castile soap on hand so I made it with my regular (natural) liquid dish soap and my old kitchen, including my sink, is sparkling. Fun! Thank you for these recipes. I will now make one of the surface cleaners. Very useful!